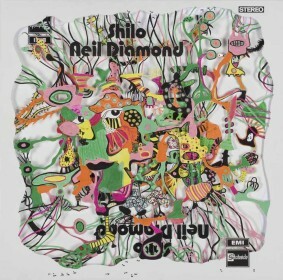 An iconic album cover from the 1970s, Neil Diamond’s Shilo, is the stimulus for this touring exhibition from the Ian Potter Museum of Art, Melbourne, which explores the intricate relationship between pop music and modern art. The original album cover featured an innovative join-the-dots image of Neil Diamond, inviting fans to complete their own portrait. For the Shilo project, curator, Dr Chris McAuliffe invited 100 leading contemporary artists to respond to the artistic challenge posed by the do-it-yourself album cover. Their works will be exhibited along with a number of amateur responses – many of which have been collected from op-shops and second-hand record dealers. A NETS Victoria Touring Exhibition, developed by The Ian Potter Museum of Art, The University of Melbourne.